Many of our program sites have service projects that can be added to your program based on the time of year and availability. 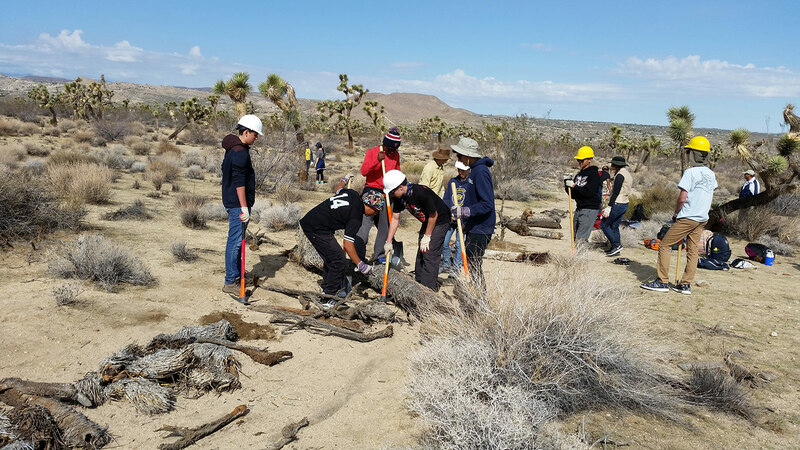 Don't miss this opportunity to protect our lands and show your students that they can really make a difference! 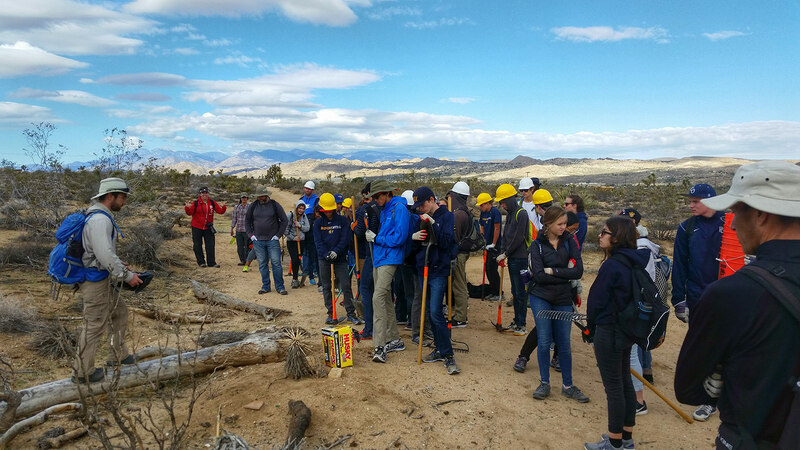 Service projects can be a great additional component for your outdoor program. Take a look at our available service projects from the list below. Can’t find a project that meets your trip goals? Let us know and we’ll work with you in order to find the right type of project for your group. Naturalists at Large is committed in creating a custom program to fulfill your goals. For our programs in the Santa Cruz Mountains, Natural Bridges State Beach is only a short bus ride away. Natural Bridges SB is an excellent location for viewing shore birds, migrating whales, and seals and otters playing off the coast. Amazing tidepools offer a glimpse of life beneath the sea including sea stars, crabs, sea anemones, and other colorful ocean life. The park’s Monarch Butterfly Natural Perserve provides a temporary home for up to 100,000 Monarch Butterflies between October and February. 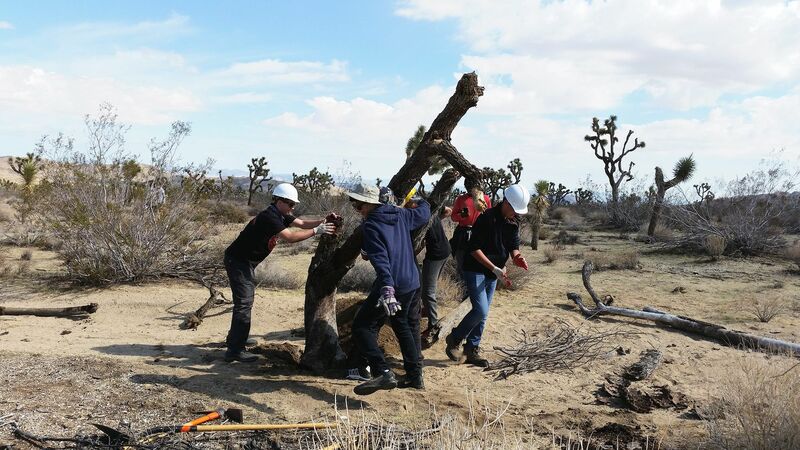 Service Projects at Natual Bridges vary depending on the time of year and availability of the rangers. Give us a call and we’ll work with you on getting a service project that fulfills your school goals. Help prevent the spread of exotic species in Pinnacles National monument with the help of a dedicated specialist. The spread of invasive plants is a primary cause of degradation to ecological systems. Invasive plants, also known as weedy or noxious plants, displace native plant and animal populations, and reduce habitat and food sources for native insects, birds and other wildlife. Learn about invasive plant species, how to identify, and the effect they have on the native environment. Students will identify, remove, and record the numbers of plants found in their designated area. Tools, and personal protective equipment are provided. 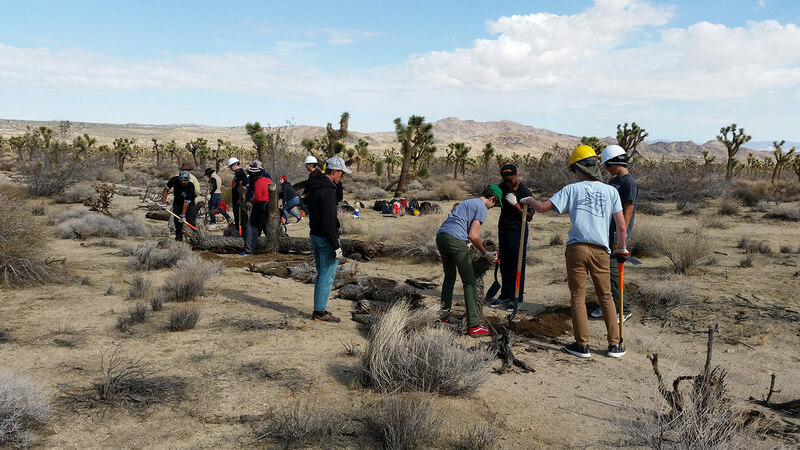 Come practice data collection skills with the aid of knowledgable Joshua Tree National park rangers from the education program, all in the group campsite facilities of Indian Cove. Discovering the Ancients Science in Action has students participating in a science research project for the park that deals with desert plants. Students will help measure and record data on plants. 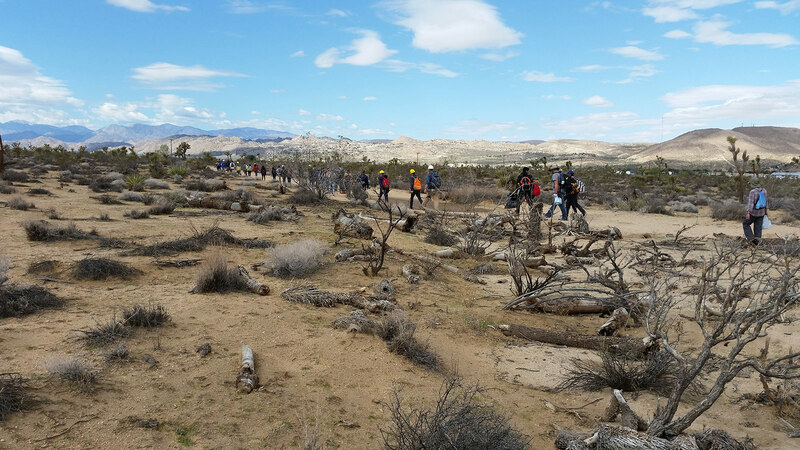 The same plants are measured years after years to help the park establish different ways of determining the growth rate and age of specific desert plants. 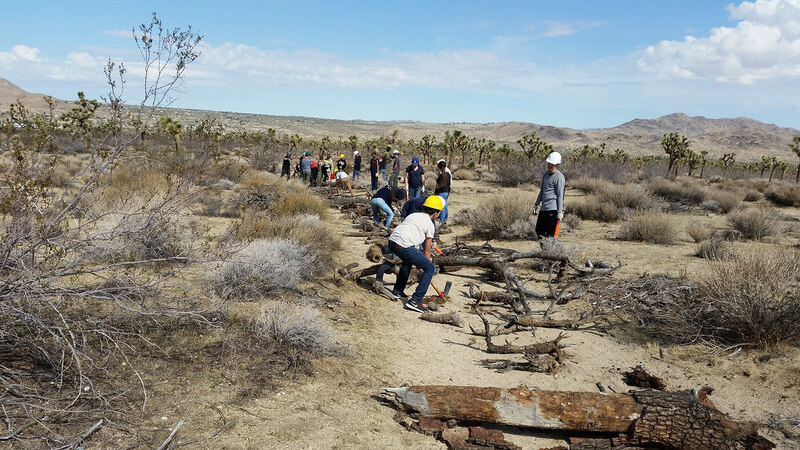 Groups will be assigned to a section of Catalina Island near our camp at Whites Landing and help restore it to its native state with the Catalina Conservency’s “Stop the Spread” program. In the process, you will learn about plants endemic to Catalina Island and the importance of limiting the influence of exotic and invasive species. 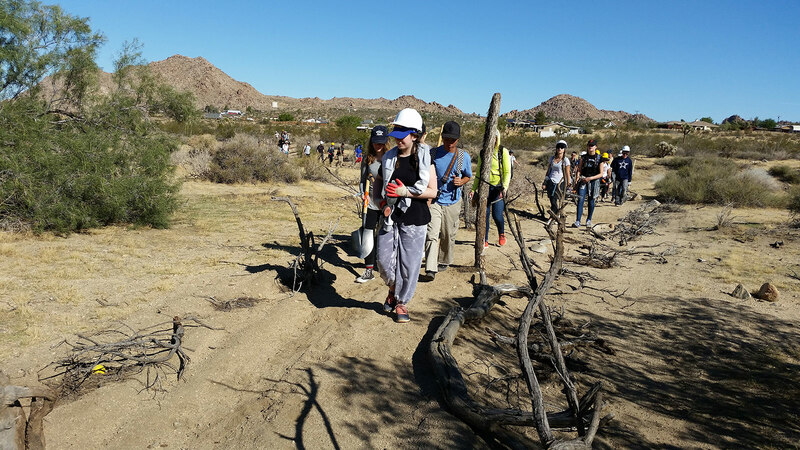 Students will identify, remove, and record the numbers of invasive plants found in their designated area. Tools, and personal protective equipment are provided. Vegetation restoration: planting and watering native plants, removing invasive plant species, building fences to protect meadows. Wildlife protection: harvesting apples, installing bear boxes. Campground maintenance: cleaning out fire pits, picking up litter, installing signs, repairing and installing picnic tables. Building and trail maintenance: painting, carpentry work, trail construction, fuel reduction, firewood stacking, building boardwalks and ramps.